Garnet Rose Frye, 81, of Terre Haute passed away on January 12, 2019 at Meadows Manor East. She was born July 14, 1937 in Fontanet, Indiana to Rosco and Bertha Sanders. 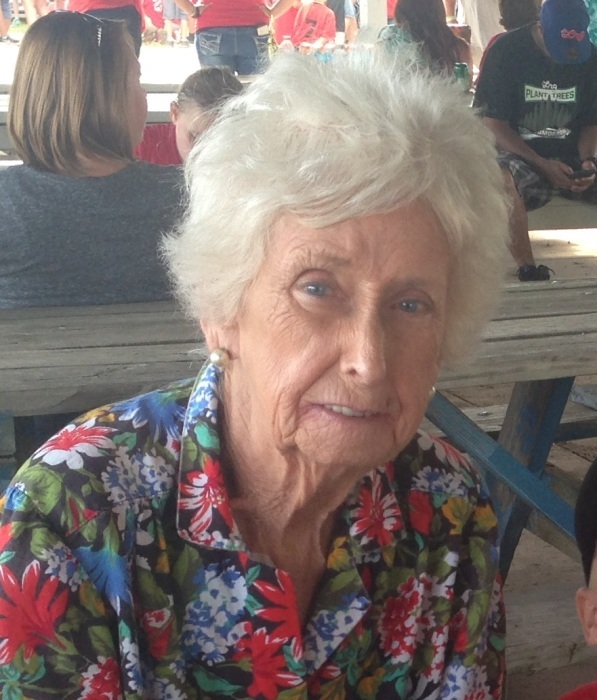 Garnet was a homemaker, enjoyed gardening and loved spending time with her family. She is survived by a son, Brian Allen Frye; daughter-in-law, Tammy Frye; grandchildren, Brian Dale Frye, Brent Allen Frye(Ashly), Brandon Lee Frye, Acacia Jade Frye, and Sydney Frye; great-grandchildren, Audra Paige Frye, Addison Kae Frye, Brice Allen Frye, Baron Russell Frye, Zayden Frye, and Zariyah Frye;; a brother-in-law, Bernard Frye (Myrthel); nephews Jason Fouts and Austin Burns and nieces Lori Burns (Steve) and Kaitlin Burns. She is preceded in death by her parents and her husband of 61 years Ronald J. Frye; sons Chris Frye and Kenny Frye; three sisters Betty Johnson Doris Sanders and Hazel Roe; and three brothers, James Sanders, Jesse Sanders, and Ralph Sanders. Visitation will be held Thursday, January 17, 2019 at DeBaun Springhill Chapel from 11:00 a.m. to 1:00 p.m. Services will follow visitation at the funeral home with Father Ron Ashmore officiating. Burial will be at Calvary Cemetery. Online condolences may be made to www.debaunfuneralhomes.com.